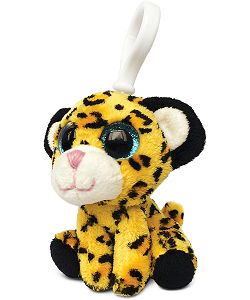 This cute little yellow leopard plush backpack clip stuffed animal is the perfect take-along pal. With soft spotted "mac-n-cheese" fur, white and black accents, and embroidered pink nose and smile, this stuffed leopard backpack clip has amazing sparkly blue eyes in a sweet face. 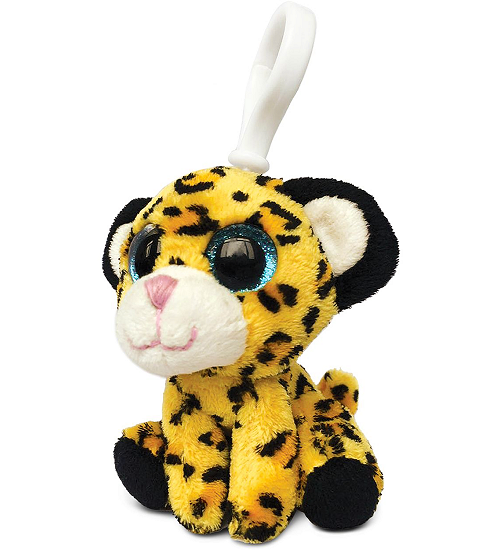 Complete with white backpack clip, this plush yellow leopard clip on animal is great for on-the-go adventure as well as birthday treat bags, prizes, and giveaways. This sweet little brown leopard plush backpack clip has soft spotted fur, embroidered smile, and sparkly blue eyes. This customizable Leopard fabric wall art is a wonderful addition to any jungle, zoo, or other habitat themed room.